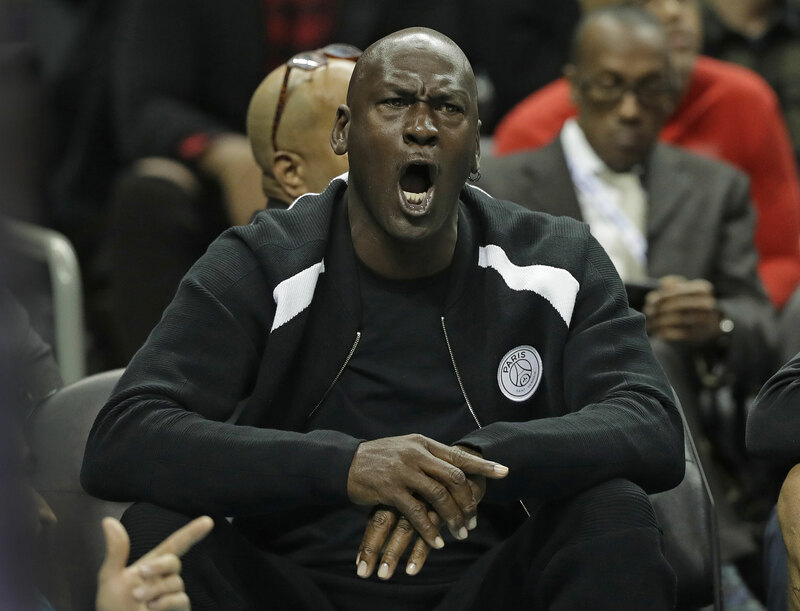 After watching a bizarre ending to Charlotte’s win against Detroit on Wednesday, a bewildered Jordan lightly smacked the back of second-year guard Malik Monk’s head in closing seconds of the game. “It was like a big brother and little brother tap,” Jordan told the AP. Monk and teammate Bismack Biyombo ran from the bench on to the court to celebrate as Jeremy Lamb launched a 22-footer game-winning shot with 0.3 seconds left. Officials gathered at the scorer’s table and assessed the Hornets a one-shot technical foul for having six men on the floor. There are no disciplinary actions expected from the league for Jordan’s playful moment. Monk said that he didn’t see the difference between his celebration and others around the league —even though was nearly on the opposing foul line when Lamb’s shot went through the basket. Borrego called it a “teachable moment” for his team, knowing it could have cost his team the game. 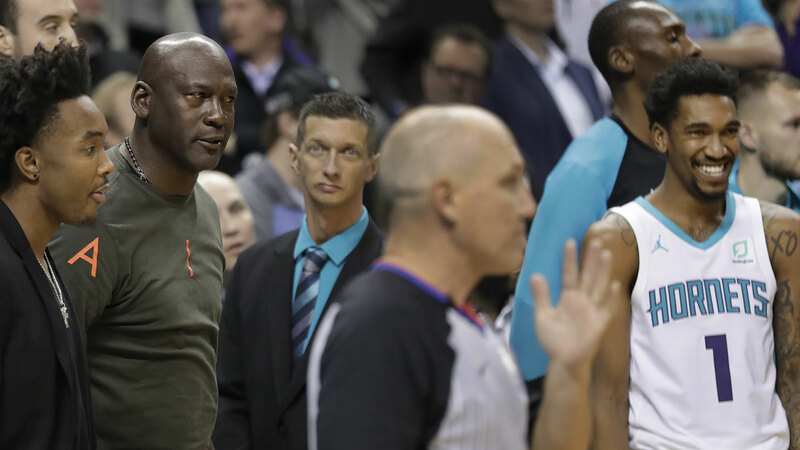 However, officials made the right call, according to NBA rules since the Hornets began the play with five players on the court. That is why Lamb’s basket counted. The Pistons made the one technical foul shot, but Lamb’s basket was allowed to stand and the Hornets won 108-107 after Detroit’s inbounds pass was stolen. “You got to remember there is still .3 on the clock,” Borrego said. “We have not been in that situation where we made a shot like and I think there was excitement there. A natural response, right? But you’ve got to react the right way.